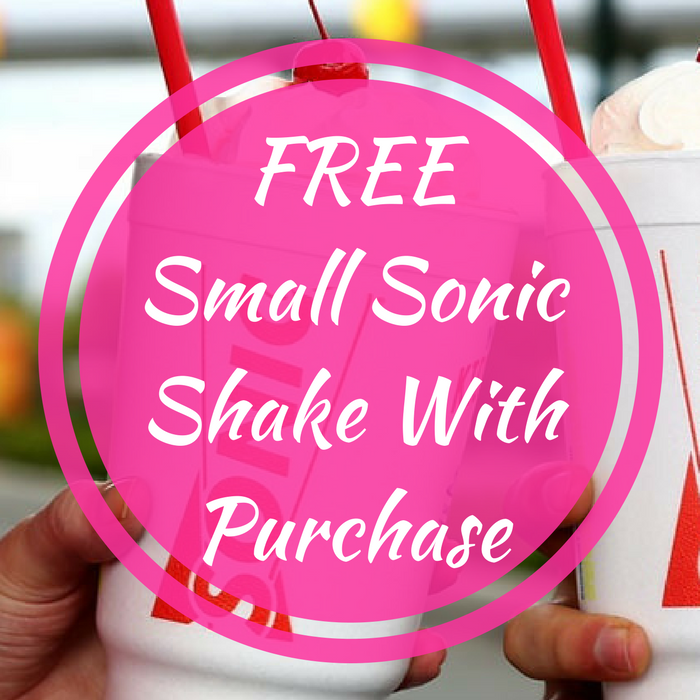 FREE Small Sonic Shake With Purchase! You are here: Home / FREEbies / FREE Small Sonic Shake With Purchase! For a limited time only! Hurry over to Sonic Drive-In where you can score a FREE Small Sonic Classic Shake with Sonic Cheeseburger or Footlong Quarter Pound Coney purchase! There’s no coupons needed – just mention the offer. Awesome!